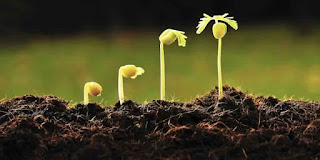 On earth there is a strong magnetic field which repels the electromagnetic radiations coming from the sun or any object. The Earth's magnetic field is due to the liquid metals present in the core in molten state. If human body or any living system is exposed in high electromagnetic radiation they get mutated, even in low field over long time. Earth's magnetic poles repels those fields and don't allow them to expose in our environment. According to the astro-science it is believed that if some how the core of any planet is cooled down or destroyed the planet is no more habitable. And in the case of Earth if it's magnetic field is absent or partially present then we will no longer on Earth. Our DNA is not enough strong to repair it as the rate of mutations start occuring in the presence of electromagnetic radiation. 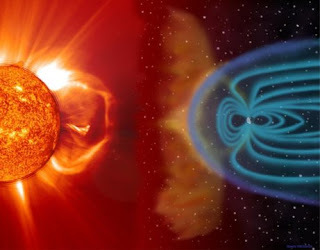 It is the term used to indicate the electromagnetic radiation coming from sun, if these radiations coming at higher rates or any eruption occurs at the surface of sun then Solar Storms occur. Our strong magnetic field repels it at a limited extent depends on the distance. In future if the Resources are not stored then may be these radiations tends to bombard on earth.